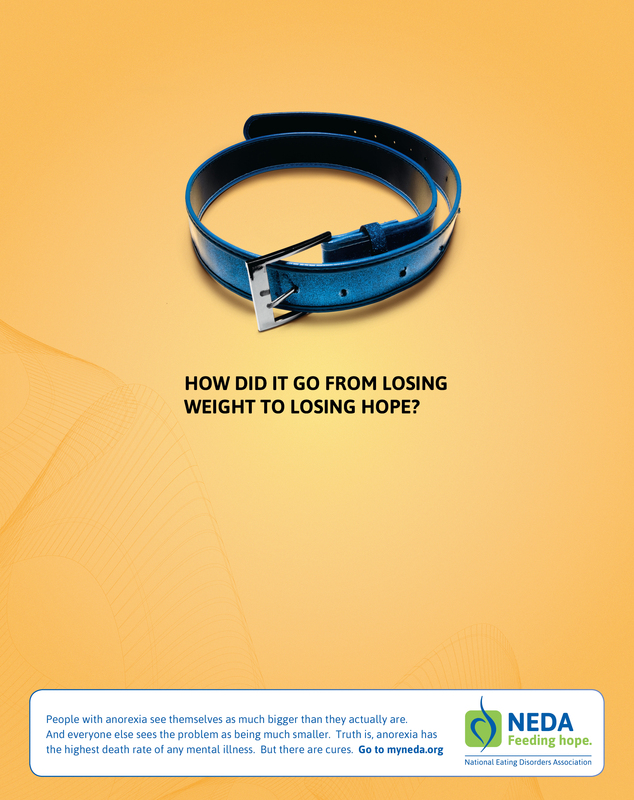 How did it go from losing weight to losing hope? People with anorexia see themselves as much bigger than they actually are. And everyone sees the problem as being much smaller. Truth is, anorexia has the highest death rate of any mental illness. But there are cures. Go to myneda.org.